People walking along a trail on the Hwy. 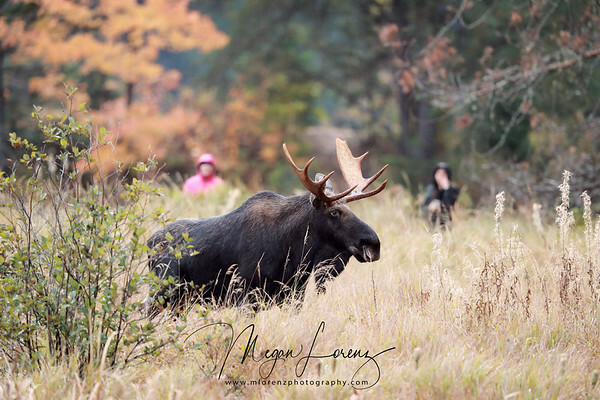 60 Corridor stop to watch a Bull Moose during the rut. This was taken with a Canon 500mm lens and 1.4 extender making them appear closer than they were. It's important to maintain distance from Moose all through the year but especially during breeding season.